We did not always have mass homelessness in this country. It began when the economy polarized and government support for housing was slashed. Income and wealth inequality shot up to pre-Great Recession levels since the 1970s - particularly for people of color - at the same time funding for public housing all but disappeared. Housing and land values, however, have continued to appreciate. City support is generated through meetings with Mayor Hancock, Community Planning and Development, and several other city departments. 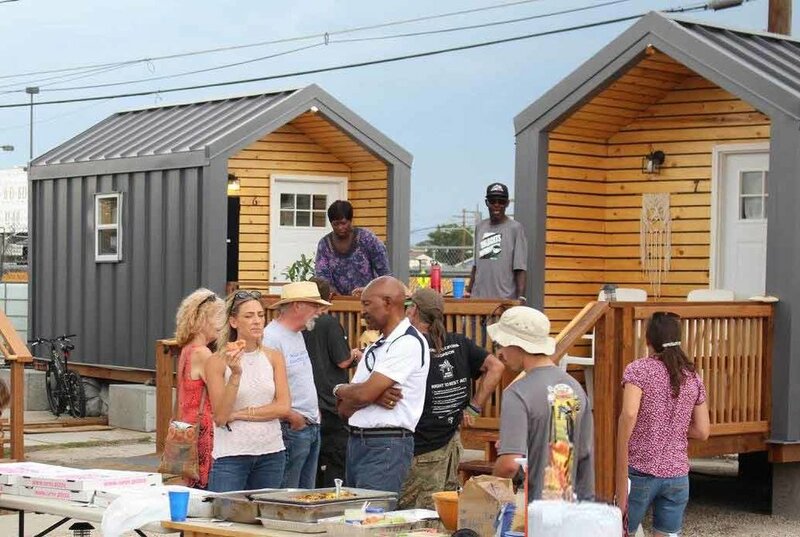 Beloved Community Village, Denver’s first Tiny Home Village opens!